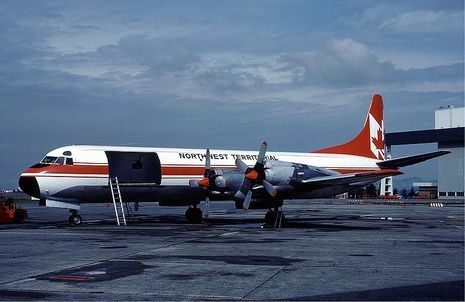 Northwest Orient Airlines Flight 706, registration N137US, was a Lockheed L-188 Electra aircraft which crashed on take-off from Chicago's O'Hare International Airport September 17, 1961. All 37 on board were killed in the accident. Flight 706 began its day in Milwaukee, Wisconsin, and was scheduled to stop at Chicago before travelling to Tampa, Fort Lauderdale, and Miami, Florida. It arrived at Chicago in the early morning and left soon afterwards, being cleared for takeoff at 8:55 AM. Takeoff was normal until the aircraft reached the altitude of 100 feet above ground level, when witnesses noticed a slight change in the sound of the Electra's engines. The aircraft began a gentle bank to the right as the starboard wing began to drop. Lockheed Electra N137US operated on Northwest flight 706 from Milwaukee to Miami (MIA) with intermediate stops at Chicago, Tampa and Fort Lauderdale. After a crew change at Chicago the plane taxied to runway 14R at 08:55 and was cleared for takeoff. Between the 8,000 and the 9,000-foot runway marker the aircraft was observed to commence an apparently coordinated right turn with a slowly increasing rate of bank. When the bank angle was 30 to 45 degrees, the crew made a short, garbled transmission. Immediately thereafter, at a bank angle of 50 to 60 degrees, the aircraft began to lose altitude. The maximum altitude attained in the entire turn was 200 to 300 feet. The right wing struck powerlines adjacent to the Chicago Northwestern Railroad tracks, severing the lines at an angle of about 70 degrees from the horizontal. It then contlnued in a direction of about 271 degrees magnetic and, when in a bank of about 85 degrees and a nose-down attitude of about 10 degrees, the right wing of the aircraft struck the railroad embankment. Continuing to roll about its longitudinal axis, the aircraft cartwheeled, the nose crarshing into the ground 380 feet beyond the point of first impact, and landed right side up. It then slid tail first another 820 feet. The aircraft disintegrated throughout its path.